Black Friday is almost upon us, and new deals on video game consoles, accessories and games are coming in constantly. 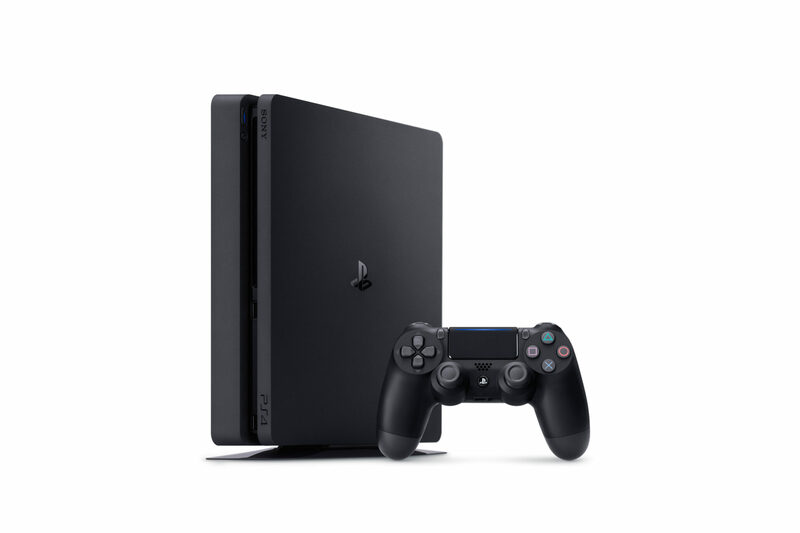 Today, those looking into purchasing PlayStation 4 Slim and Xbox One bundles will be happy to know that Amazon is offering them for reduced prices as part of the retailer’s Black Friday deals. For the next few days, Amazon is offering the PlayStation 4 Slim Uncharted 4 Bundle, including a 500 GB PS4 Slim console, the popular Uncharted 4: A Thief’s End and a DualShock 4 controller, with a 17% off its full price, $249 instead of $299. The retailer is also offering the DualShock 4 controller with a 35% off. Plenty of Xbox One bundles also got their prices slashed for Black Friday on Amazon. The Xbox One S Gears of War 4 Bundle, including a 1TB Xbox One S console and the recently released third person shooter by The Coalition, is available for $299. Another very nice bundle, including a 500GB Xbox One S console, Battlefield 1 and The Elder Scrolls V: Skyrim, is available for $288.99 instead of $359.98. The Xbox wireless controller is also available with a 35% off. Speaking about Xbox One games, the already mentioned Gears of War 4 and ReCore are available for reduced prices. Skyrim Special Edition and the PC exclusive Civilization 6, both released recently, also got a price reduction. The Elder Scrolls V: Skyrim Special Edition is definitely the best way to enjoy the game right now, thanks to a variety of enhancements and improvements. The game itself hasn’t changed much since its original release, however, so those who have spent hours upon hours exploring the game’s world may not find the Special Edition all that special like noted in Rosh’s review. Although the allure of returning to one of the most engaging Elder Scrolls titles might be overwhelming, Skyrim Special Edition itself feels dated, with little improvements made in terms of gameplay and graphics. You’ll play it for hours, but you’ll keep wondering why. The Amazon Black Friday deals will be going strong for the next few days, so make sure to take advantage of them as soon as possible to purchase bundles and single games for the best possible prices.